What structure is: 680 feet underground; three stories tall; can house over 400 people, can stop an atomic bomb; and has two very long entry halls? It is not Superman’s cave, although he would be proud of it. The answer is the NORAD North Bay Underground Complex, Ontario Canada. The Norad North Bay Underground Complex is the most extraordinary military installation ever built in Canada. During the Cold War, Canada was in an unenviable geographic position, lying directly between the Cold War’s principal adversaries, the Soviet Union and United States. This meant if the war turned “hot”, Canada would become a major nuclear battleground: to reach their American targets—cities, military bases and industrial installations—Soviet nuclear weapon-armed bombers would have to cross Canadian airspace. Meanwhile U.S. interceptors would swarm the airspace to shoot the attackers down. Thus by default Canada was the air defence “front trenches” for the North American continent. For this reason, plus its friendship with the United States, on 12 September 1957, Canada and the U.S. formed NORAD, the North American Air Defence Command, an organization that unified the two countries’ air defences into a single, coordinated, fast-reacting, continent-wide network. It was (and still is) a true partnership; the Commander-in-Chief of NORAD is always an American, the deputy commander always a Canadian. Both are able to access the highest levels of the U.S. and Canadian military and national governments. Canadian and American NORAD personnel work at each other’s bases and installations, performing the same defence duties, under the same uncompromising scrutiny—all NORAD personnel, regardless of nationality, are under constant threat of no-notice evaluation. That is, they can be tested at their job at any time, with no warning. During the Cold War, personnel who failed an evaluation by a marginal degree were placed on 30 days’ probation; if they failed their subsequent test they were removed from NORAD. Personnel who failed a no-notice evaluation by more than a marginal degree were removed from NORAD at once. With nuclear extermination hanging over the continent, liable to spring at any instant, there was no room in the Cold War NORAD for anything less than the best trained, most able personnel. The NORAD Agreement was officially signed by both nations on 12 May 1958. The name was altered to North American Aerospace Defense Command, 12 May 1981, to more accurately reflect the extent of command’s responsibilities, keeping watch of activities in space over North America as well as those inside the Earth’s atmosphere. By virtue of Canada’s front line position, the Canadian air defence command and control center was deemed the most important piece of the NORAD “pie”, with respect to bombers. (North Bay was never involved in ballistic missile defence.) Its early warning of and reaction against a Soviet nuclear air attack were critical for the survival of the U.S.-Canadian portion of the North American continent. As one air force officer put it: “(regarding a bomber attack) We lose North Bay, we lose the continent.” Ergo, the center was a prime target for a Soviet nuclear strike. To minimize the possibility of its destruction, planners decided to build the facility underground. It would be the only subterranean regional command and control center in NORAD. An air force base existed, eliminating the need to build one. The City of North Bay was a rail, highway and telecommunications crossroads of the country. The geology comprised a 2.6 billion year old rock formation altered 1.5 billion years ago by the Grenville Metamorphic Event into granite, one of the hardest rock types on the planet, excellent armor against a nuclear strike. Trout Lake, on the eastern edge of the city, presented an abundant source of water needed to cool the complex. Construction of the Underground Complex (UGC) took four years, August 1959–September 1963—1 1/2 years for excavation, 2 1/2 years to build and outfit the center. Cost was $51,000,000. One-third was paid by Canada, two-thirds by the U.S. Situated 60 storeys beneath the surface of the Earth (600 feet, 183 meters) — deeper underground than most of the buildings in Toronto are tall—the facility was specially designed to withstand a 4-megaton nuclear blast, 267 times more powerful than the bomb dropped at Hiroshima. Because its subterranean location complicated access by firefighting vehicles and personnel, the complex was fashioned from fire-retardant and fireproof materials, making it one of the most fire-safe structures in the country. The complex (which still exists) comprises two sections. The “Main Installation” is a three-story, figure-eight shaped building inside a 430 foot long (131 meter), 230 foot wide (70.1 meter), 5.4 story (54 feet, 16.5 meter) high cave. The “Power Cavern”, which provides life support and utility services to the complex, is a 401 foot long (122.23 meter), 50 foot wide (15.24 meter), 2.7 story (27 foot, 8.23 meter) high chamber. Access to the complex is via a 6,600 foot long (2,012 meter) North Tunnel from the air base, and a 3,150 foot long (960 meter) South Tunnel from the city. The tunnels meet; the idea was if a nuclear weapon struck the air base the blast would shoot down the North Tunnel and out the South Tunnel, minimizing blast damage to the complex and its structures. In fact, the three-story Main Installation is mounted off the ground on specially designed pillars (not springs) to reduce seismic shock—on 1 January 2000, North Bay was rattled like a jar of pennies by an earthquake registering 5.2 on the Richter scale, yet occupants in the Main Installation did not feel a thing. As an added measure against damage from a nuclear blast, as well as for the security of the installation, the complex is situated behind three 19-ton steel bank vault-type doors. The doors are normally kept open, and shut in times of emergency. Despite weighing as much as a medium-size bulldozer, each door is so well balanced it can be moved effortlessly by a 12-year-old child. Air defence operations officially began in the UGC on 1 October 1963, and continued around-the-clock, unabated for 43 years until October 2006. There was nothing like it in NORAD (the Cheyenne Mountain Complex did not officially open until 1966) or in Canada, and it attracted world-wide interest. Its opening was reported in newspapers throughout the United States; it was the subject of numerous engineering publications; and visitors included the commander of the Japanese Air Self Defense Force, commander of the Royal New Zealand Air Force, and Emperor Haile Selassie of Ethiopia. In its heyday about 700 Canadian and American military and civilian personnel worked in the center, in day jobs and shift work. As well as air defence facilities, the Main Installation encompassed a barber shop, small medical center, gym, cafeteria, chaplain’s office, and other amenities for the complex’s personnel (important since the complex was designed to seal up in time of war), plus a command post, intelligence center, briefing rooms, a telephone switching network large enough to handle a town of 30,000 people, and a national civil defence warning center. When sealed up, the Underground Complex could support 400 people for upwards of four weeks cut off from the outside world. Since Canada would be the front line for the air defence of North America if the Cold War turned “hot”, it was crucial to ensure that air defence operations would continue as long as possible. A critical factor was electrical power. The complex gets its power from the outside civilian hydro-electric grid. In the event of a power failure, such as the August 2003 blackout that hobbled the northeast United States and Canada, two banks of 194 batteries automatically switch on and provide electricity to the complex while an electrical generator is readied to take the load. Once a generator is running, it can power the complex without stopping as long as it has fuel. The generator can also power key air base buildings on the Earth’s surface. Originally the complex had six 750-kilowatt generators. These were replaced in the 1990s by three 1.2-megawatt generators. Both types of generators could run on diesel or natural gas. If the Cold War had turned “hot”, and the complex sealed airtight and forced to use its generators for electrical power, the facility’s NORAD commander faced a harrowing choice. The original 750-kilowatt generators devoured air voraciously; in the sealed up environment of the complex, instead of weeks the generators would have cut life support for the complex’s personnel to a mere few hours, as the machines sucked away the breathable atmosphere. 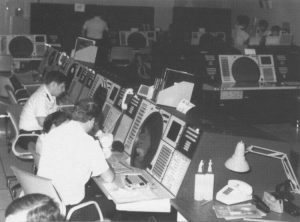 The commander could limit use of the generators to prolong his personnel’s survival, but a nuclear air attack would have demanded maximum power from all of the generators to support the complex’s air defence computers and electronics in order to repel the invaders, i.e. the commander and his personnel would be dead in hours. Luckily a crisis never arose during the Underground Complex’s 43 years that called for such a choice to be made. The Norad North Bay Underground Complex is colloquially referred to as “The Hole”. 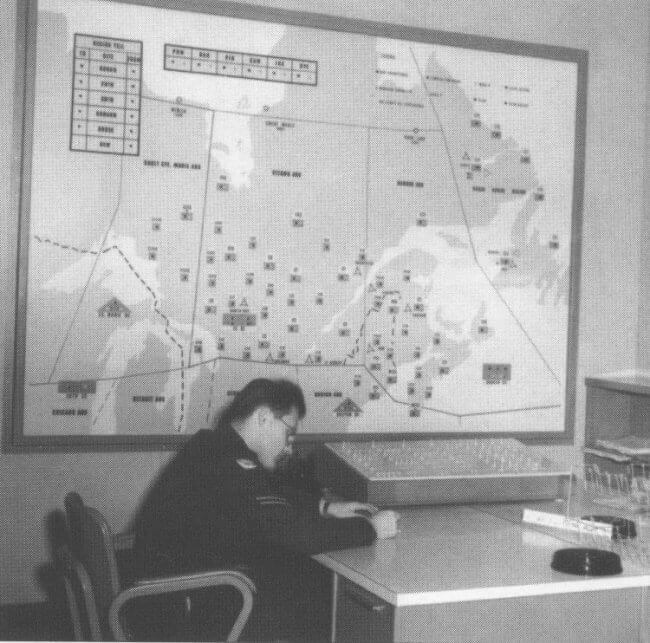 Although officially titled the Combat Center/Direction Center (CC/DC) Installation when it began air defence operations, during its construction it was known as the “SAGE Installation, North Bay”, a term still often used today. Canada and the United States combined are roughly twice the size of Europe—a Battle of Britain-style air defence network was too slow and unwieldy to protect such vast airspace in an age of jet aircraft and nuclear weapons. SAGE was a massive computer system that linked the ground elements of Canadian and American air defence—such as command and control centers, radar sites, and headquarters—providing high speed detection of aircraft, assistance in their rapid identification, and, when required, aiding quick Ground Controlled Interception of unknown, suspicious and hostile aircraft. Also, the SAGE system enabled the different NORAD regions and NORAD headquarters to interact seamlessly in their air defence activities and crises. The Underground Complex’s SAGE computer equipment comprised a pair of computers, nicknamed “Bonnie and Clyde”, plus Maintenance & Programming and Input & Output areas. Combined, “Bonnie and Clyde” weighed 275 tons (245.5 metric tonnes); encompassed 11,900 square feet of floor space (.273 acres, 1,105.5 square meters – the floor space of a dozen small houses); and had a (then) staggering memory capacity of about 256K. When the Maintenance & Programming and Input & Output areas are included, total floor space used by SAGE was 18,810 sq ft (1,747.5 sq m — equal in size to about 20 small homes). In 1982–1983, the SAGE computer system was replaced throughout NORAD by the “Regional Operations Control Centre/Sector Operations Control Center” computer system. This long-winded term is abbreviated “ROCC/SOCC”. It was a faster, more versatile and, in particular, substantially smaller system. North Bay’s ROCC/SOCC total computer components took up the floor space equal to about two houses versus 20 for SAGE. North Bay’s SAGE computer system was also tied into Canada’s BOMARC nuclear-tipped air defence missiles. Cost to convert systems in North Bay was $96,000,000. The ROCC/SOCC system remained in use in North Bay until air defence operations were moved out of the Underground Complex, in October 2006. 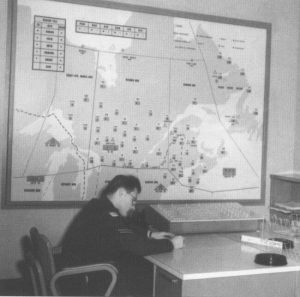 Due to its important, sensitive role in the security of Canada and North America, working in Norad North Bay was limited to very few people. Over its 43-year span in air defence operations only about 17,000 Canadian and American military personnel and civilians served in the UGC. Of this number approximately 15,500 were Canadians, out of nearly a million men and women over the same time frame who were members of Canada’s Department of National Defence. I was on loan to the military for ~ 1 year ~1970 as the only communication supervisor at that time underground. My wife & children did not like the long cold winters she said 10 months of winter & 2 Months of bad skating. I worked there in the 60’s as an SDC programmer. My responsibility was programming high speed tracking algorithms. I remember a funny incident. I was at a weapons director position during a simulation. I thought that I would try something. I positioned the cursor on a simulated BOMARC and instructed it to RTB (return to base). The missile turned around. It eventually got fixed by the human interface team. Hi Ronald. Did you know my father S/L (Major) Thomas Wallis. He worked there in 1962-65, then again 1970-72. What’s happening with it now? Is it open to the public? I worked there for six years with Western Electric and Systems Development Corp in early 1960’s. Sorry, Betty, it’s not open to the public. 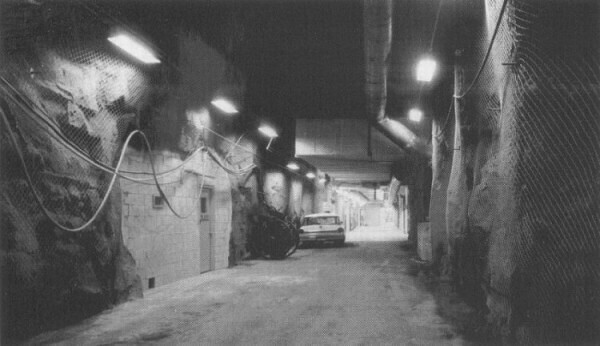 The Underground Complex was put into warm storage in 2006 when we moved our NORAD operations above ground into a new facility, the Sgt David L. Pitcher Building. It’s status has been in limbo since; attempts have been made to sell or lease the facility–it’s ideal for a secure archives storage for a corporation or other government department, for example–but the drawbacks are three-fold. First it is huge, the size of a medium size shopping centre, and old–so is costly to run and maintain. Second, as fire prevention many of the facility’s structures are impregnated with asbestos–all which would have to be torn out and replaced. Third, the North Tunnel leads directly to our air base, posing a security conundrum. 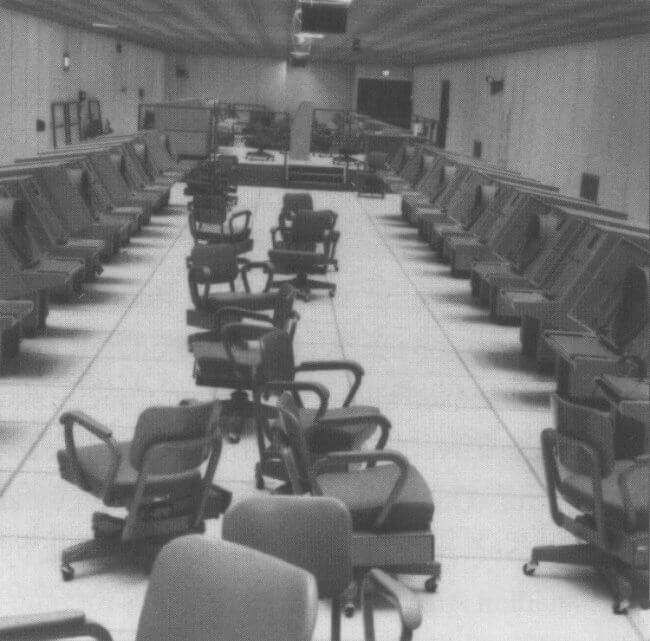 Tours were run for the public for a couple years after NORAD moved out, but were halted due to safety concerns. For example, our base no longer operates an ambulance; if anyone were to get hurt, suffer a heart attack, etc., we would have to notify city emergency services, wait for their arrival, guide them down one of the tunnels and so on. And there’s more to the safety issue. Which is too bad, because there is nothing like the UGC in Canada. Even only certain members of our base are allowed down, such as Construction Engineering workers (and myself), and no one is allowed underground alone. Cheers. Capt Raymond Douglas Newman, 22 Wing Heritage Officer P.s., I’d like to hear about your work and experiences in the UGC. do you happen to know if it is still considered open? they say its closed but is it really? I worked as a private there in 75-76 as a cook..propane busses down and the shift comming up had the right of way as we pulled off to the right in a rock cut out to let them pass. You are absolutely right. I actually wrote the article, other than the lead-in paragraph. It was ripped off verbatim from an article I wrote years ago about the UGC for the media and public. However I did not supply the images or their captions, the latter obviously penned by someone who doesn’t know anything about the complex or its ops. If the people at this web site had gotten a hold of me, I could have provided proper images and captions. I’ve opted to write this reply because (a) supposedly this site caters to schools and people searching for info about our UGC, so hopefully they’ll read this, and (b) I wanted to say how I’m glad that you pointed out the mistake. Cheers. Captain Raymond Douglas Newman, 22 Wing Heritage Officer. I was stationed there in 63-65 and worked in the Sage Hole as we called it. I was fortunate to be able to visit the complex twice in 1979 and again in 1983 when they were replacing the computers. I saw the control room look like the picture above. It was very impressive, entertaining, and seeminly secure. A great piece of propaganda. But in reality it was virtually useless. The complex may have been able to survive a direct hit by a bomb but why would it matter? If the base was nuked, the complex would be useless. Obviously the Soviets knew it was there, at least they knew it was near CFB North Bay and its 10,000 foot runway. If they nuked the base, they would wipe out all communications with the complex rendering it useless. An intact site with the latest computers with nothing to monitor. Then the ultra secure complex would quickly run out of air. The counter attack would need to be launched before the missiles hit. They needed little more than a secure above ground building. 51 million 1960 dollars worth of hype. Or perhaps another cleverly disguised excuse for corporate welfare. Still have the same opinion of Trudeau? Most of the country is not in love with this guy anymore.